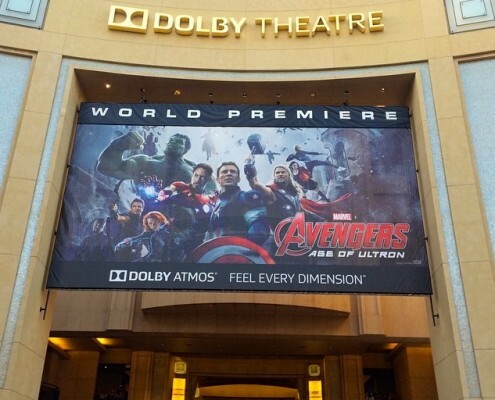 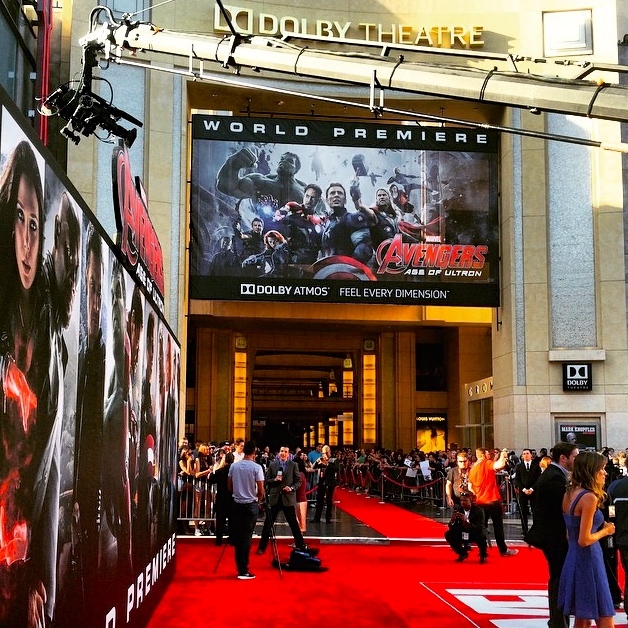 The Avengers assembled once again for their Avengers: Age of Ultron World Premiere in Hollywood! 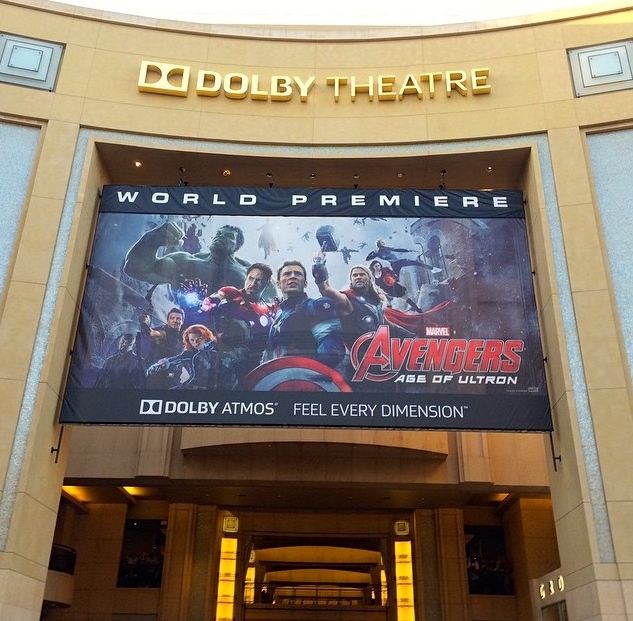 The night was set at the Dolby Theater, complete with a Red Carpet and grand banner of their signature pose. 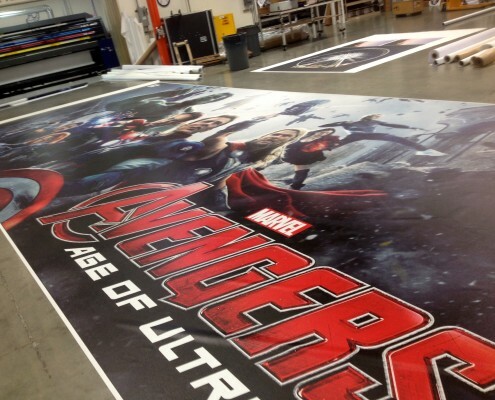 The banner was printed on our HP Revolution, using a mesh material. 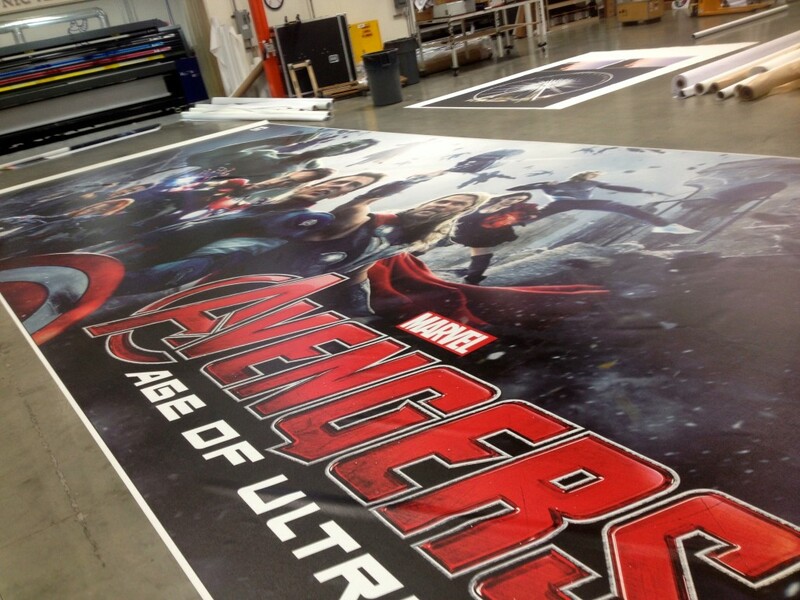 This material allows for a more porous surface to insure better wind resistance and durable hold. 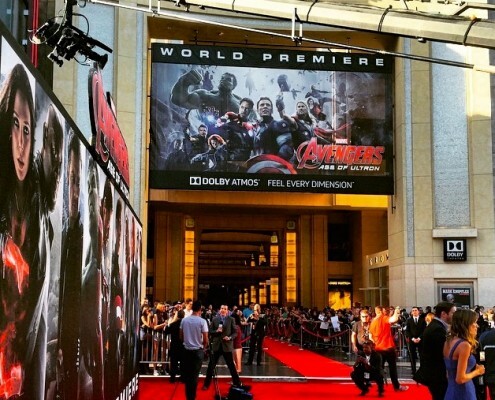 Another feature, is the ‘World Premiere’ snipe at the top of the banner that was removable to unveil the theatre release date.